It’s common to see dust, pet dander, and pollen flying around in the air of your home or office space. These minute particles enter the air ducts of your air conditioner or heater and can accumulate there over time. Not only do these particles block air flow but also re-circulate throughout the space, sometimes giving out an unbreathable stench. We also offer dryer vent cleaning services, insulation, restorations, Water damage, fire damage, tile and grout along with air duct cleaning services for residential and commercial needs. Grimy air ducts can be a considerable threat to the well-being of people residing in that space. At the same time, cleaning them is not a piece of cake owing to the various technicalities involved in HVAC systems. Fret not, because there are Dallas air duct cleaning professionals like us at Texas Duct Pros who can help you navigate the process conveniently in Fort Worth. We are not just air duct installers & cleaners but also advocates of healthy living. It’s our topmost priority to clean air ducts in both home and office spaces so that your atmosphere is breathable. As professionals, we believe in delivering the best to our clients, and we do so by leveraging state-of-the-art cleaning technologies. When you use our air duct cleaning in Fort Worth, TX, you can be sure you will have dirt-free indoor air. 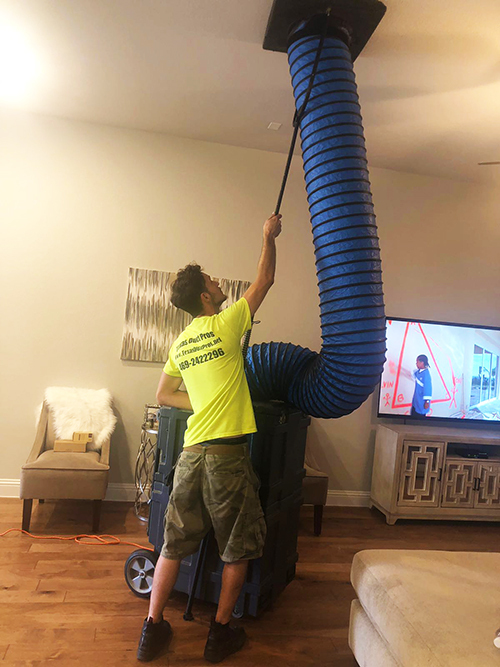 Our air duct cleaning experts know air duct systems like the back of their hand and ensure that they are purged of dirt, dust, and other unnecessary objects that hamper the flow of air. Air duct cleaning in Dallas aims to secure your health and reduce the occurrence of respiratory problems by creating a clean and healthy space for everyone to breathe in. It is our duty to take care of your HVAC systems, and we wish to fulfill it in every possible way. At Texas Duct Pros Fort Worth, we ensure that living spaces meet different indoor air quality priorities. We do so by using UV lights and high-efficiency filters for the purpose. We value our team of expert technicians who provide specific solutions that suit your HVAC system. We upgrade their skills through regular training and workshops to help them keep pace with time. For a professional air duct cleaning in Fort Worth, look no further, the experts are just a phone call away. Dust, pollens, pet dander, and other airborne particles can cause severe respiratory problems in people. We do a thorough cleaning of your supply registers, take-offs, vibration isolators, smoke and fire dampers, air terminals, vanes, and other components of your air duct system to free them of harmful particles. We also provide long-lasting duct sealing solutions to home and office owners to improve heating/cooling efficiency. Grime and debris in air ducts impede airflow to and from your HVAC system, causing your system to consume more energy while doing its job. At the same time, leaky air ducts can cause your energy bills to soar owing to considerable loss of energy in your HVAC system. Our air duct cleaning and services can, however, eliminate such problems and make your space more energy-efficient. 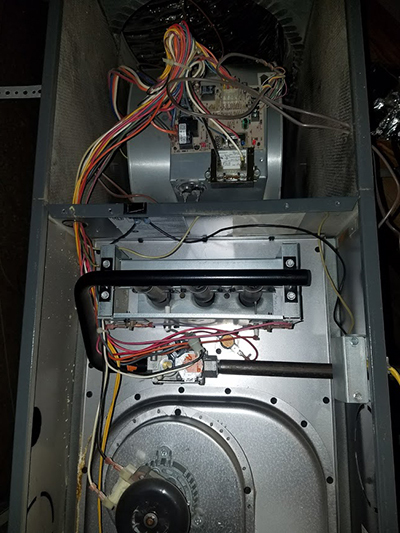 If your ventilation system is dirty, problems like contaminated blower wheels and blocked air conditioner coils become highly opportunistic. Such issues can result in expensive repairs and burn a huge hole in your pocket. There may even arise situations when you have to discard your entire system because its components have gone out of kilter due to poor maintenance. Our air duct cleaning services prove essential in upholding your HVAC system’s functionality. ReTexas Duct Pros is different from unscrupulous service providers who charge a bomb for poor-quality cleaning services. We follow the NADCA standards of cleaning air ducts strictly, thereby coming forward as a reliable option for both residential and commercial projects. Seal air ducts during construction or renovation with mastic. Install UV light and high MERV filters in your HVAC system. Design your HVAC system to withstand higher static pressure for better air filtration. Conduct regular checks and cleaning of your HVAC system. Texas Duct Pros upholds your right to breathe dirt-free, fresh-smelling air with our professional services. It shouldn’t be a difficult task to maintain your air ducts if you have experienced professionals like us Texas Duct Pros in hand. Reach out to us whenever you see signs of defects in your air duct system. Keep the indoor air quality of your home clean with our residential air duct cleaning in Fort Worth, TX. Make sure your home is free of dirt and debris that may be lingering in the air. Contact us today to learn more. Have commercial property units that are in need of Fort Worth air duct cleaning? Contact us and learn how you can receive a free quote today! We provide professional services to all of Fort Worth, TX businesses.